GSIDC | Improvement and Upgradation of road network at Piligao, Curti, Ponda Town and Chodan. Improvement and Upgradation of road network at Piligao, Curti, Ponda Town and Chodan. 1) Improvement and upgradation of road network at Piligao in Bicholim taluka. 2) Improvement and upgradation of road network of Curti and Ponda town. 3) Improvement and upgradation of existing road from Chodan Ferry to Thikazem bridge and from State Bank of India, Chodan to Pomburpa ferry. M/s. M. Venkata Rao Infra Projects Pvt. Ltd.
M/s. Technogem Consultants Pvt. 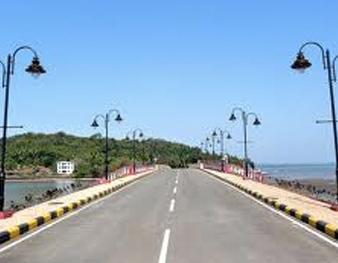 Ltd.
Design and Construction of Nuem – Cola Bridge including approach road in Canacona Taluka. Construction of bridge at Guleli – Padeli in Sattari Taluka, Goa. Construction of Codal – Derodem bridge including approaches. © 2014 GSIDC Limited. All rights reserved.